If you like hardy perennials that have an extended bloom time, try growing gaillardia, also known as blanket flower perennial. The plant is very showy and super easy to grow. 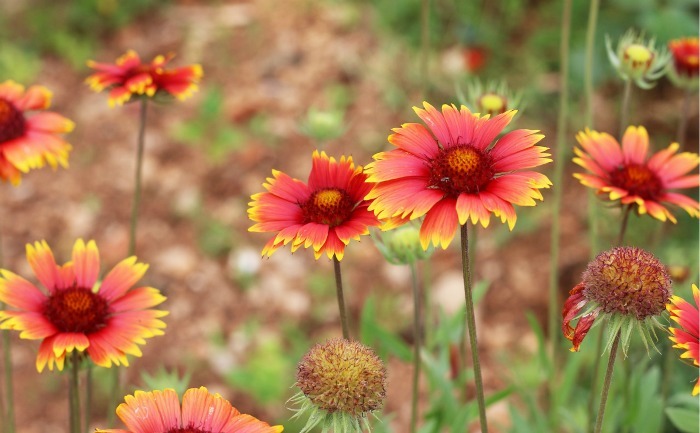 Gaillardia is a pretty perennial plant that has an extended bloom time to give you loads of color all season long. 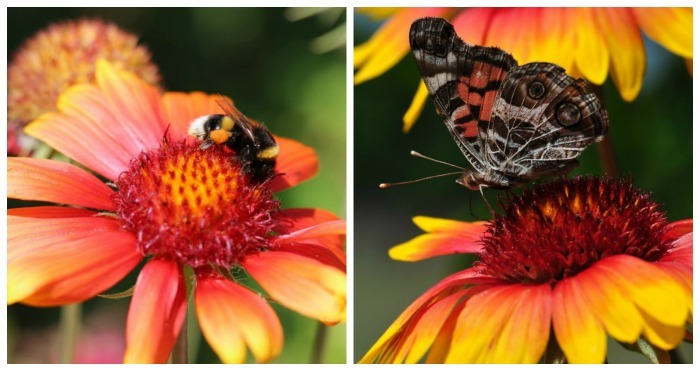 If you like daisies, you will love to grow gaillardia. This hardy perennial is native to both North and South America. It is from the sunflower family (asteraceae) although it only grows to two feet tall. It was named after an 18th century French Magistrate – M. Gaillard de Charentonneau who was a patron of botany. Gaillardia plant likes full sun and it flowers best when it gets 6-8 hours of direct sunlight daily. If you have a hot location and find that other flowers wilt from the heat, try growing Gaillardia. It is very happy in a hot garden. If you have a very hot location, gaillardia can handle some partial shade, but the flowers will get leggy and the plant will not flower as readily. This pretty perennial is fairly drought resistant. Choose well draining soil that is loose and sandy. A neutral pH is best. Water in the first season to get the plant established but after this, the plant is easy care and requires little water. Add organic matter such as compost at planting time and then early in the spring each year. Space plants about 12 inches apart. The gaillardia flower has very vibrant and bold colors in red, yellow and orange with a blanket like quilted look, from which it gets its common name. The flowers seemed to remind people of brightly colored Native American blankets and many started calling them Indian blanket flower. The plant grows from about 15″ to a maximum height of 3 feet. Most plants are in the two foot range, which makes them perfect for the front of borders. Gaillardia forms a slowly spreading mound as it grows. Gaillardia blanket flowers have an extended bloom time and will bloom for months on end throughout much of the gardening season, from early summer through to fall. The ends of the petals of blanket flowers have a torn appearance. Some varieties have double petals. Most of the plants have a daisy like petal, but some have an unusual tube like petal that is very attractive. To keep your plant flowering well all summer long, deadhead the plants regularly. The flowers are short lived, but will keep blooming as long as you keep on top of deadheading. (If you don’t like to deadhead, check out this post for plants that don’t need to be deadheaded. Propagation of blanket flower is by division. root cuttings or seed. Divide established plants every 2-3 years in the spring or early fall. The gaillardia perennial is short lived, so division will keep them going in your garden for many years. Growing gaillardia from seed is possible and unlike some other perennial seeds, they will flower the first year. However, gaillardia seeds from your existing plants will not grow true to the parent. This pretty perennial is hardy in zones 3-9 and is very easy to overwinter. Cut back the clumps of gaillardia to about 6 inches in fall to be sure that they last through the winter months. Blanket flower is loved by cottage gardeners and those who like a meadow garden effect. It is attractive to bees, butterflies and other pollinators and is quite deer resistant. The daisy like flowers are great for a cutting garden. Blanket flowers can easily be dried with borax to use in dried flower arrangements indoors. Be on the look out for aphids and leaf hoppers. The latter can spread a disease called aster yellows. Insecticidal soap will help with insects if you find them. Try to encourage natural predators such as ladybugs. Plant blanket flowers with Shasta daisies, echinacea, garden phlox and black eyed Susans. Taller plants that love the sun, such as foxgloves and hollyhocks will also look nice growing near gaillardia. Ornamental grasses that love are sun lovers also look great with blanket flowers. 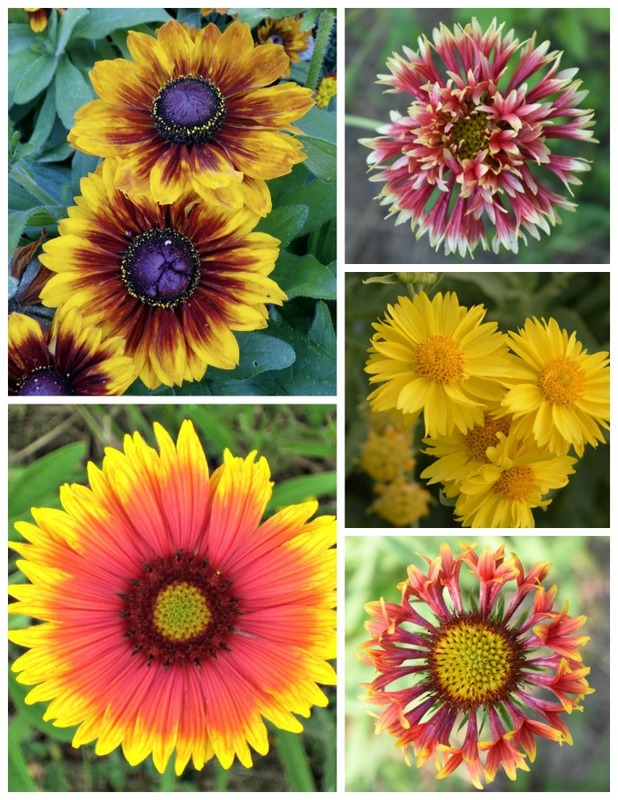 Burgundy Blanket Flower – 24-36″ tall. Deep reddish burgundy color. Gaillardia Aristata – 2-4 feet tall with longer yellow tips. Gaillardia Sunset Poppy – double rose red petals dipped in yellow. Gaillardia Oranges and Lemons – tangerine orange centers with lemon yellow petals. 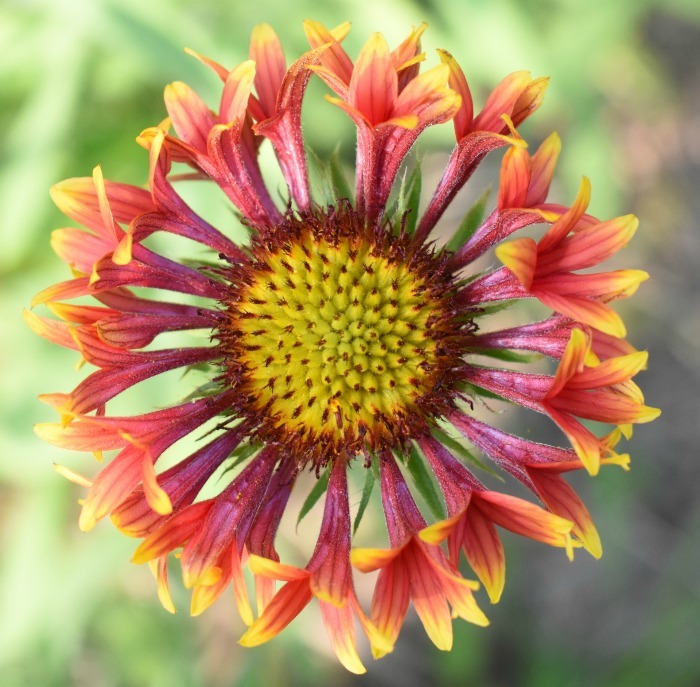 Being such an easy care plant, gaillardia is often grown by beginning gardeners. Why not plant some of these in your garden this year? 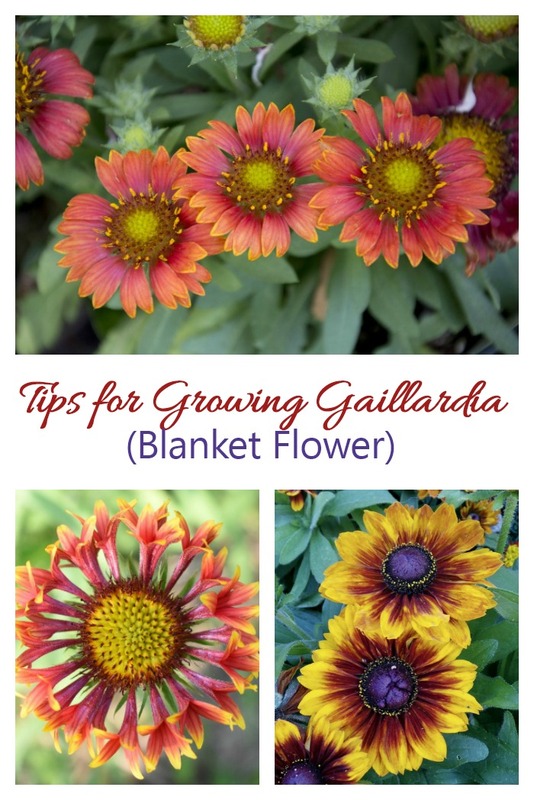 Would you like a reminder of this post for the tips for growing gaillardia? Just pin this image to one of your Pinterest gardening boards. Be sure to also check out the video at the top of this post for lots of images showing many varieties of gaillardia in flower.